Estate jewelry refers to pre-owned pieces. In a way, it is similar to vintage or antique jewelry, but there are some significant differences here. In this article, you will find out about the difference between vintage, antique, and estate jewelry. You will also discover some important buying tips that will help you choose the best pieces for your jewelry box. Read further to find out more about estate jewelry and understand how to buy it whether it has precious or semi precious stones. Let’s imagine the following situation. Three years ago you bought a brand new pair of platinum earrings. At the time you were happy with your purchase, but you soon discover that the earrings are uncomfortable or don’t match your style. If you can’t take them back, you find yourself in the situation of having an expensive pair of earrings which you don’t like anymore. And since they are platinum, you can melt them and create a new piece of jewelry. That leaves you with the option to sell them. The moment you decide to sell them, they become an estate jewelry piece. This means the earrings are pre-owned. If you stumble upon an estate bracelet in a jewelry shop, it means that somebody else owned it before you. But does it mean it is vintage or antique? Not necessarily. Technically, any piece of jewelry that was previously owned is considered to be estate jewelry. In truth, in order to make a difference between various pieces, jewelers have adopted different terms to describe pre-owned jewelry. A vintage jewelry piece must be at least 20 or 30 years old to receive this name. If a jewelry piece is more than 20 years old but less than a hundred, then it is vintage. Your platinum earrings are not vintage because you bought them three years ago and they were brand new at the time. In 17 years, however, they will become vintage. Until then, they are estate jewelry. An antique jewelry piece must be at least 100 years old. Today, jewelry pieces from the 20s and before are considered antique. Coming back to our initial example, your platinum earrings will become antique in 97 years. To sum it all up, your mother’s engagement ring is vintage, if it was brand new at the time she received it. Your grandmother’s engagement ring is also vintage but, your great-grandmother’s ring may be antique. This being said, is there anything else you should know about estate jewelry? 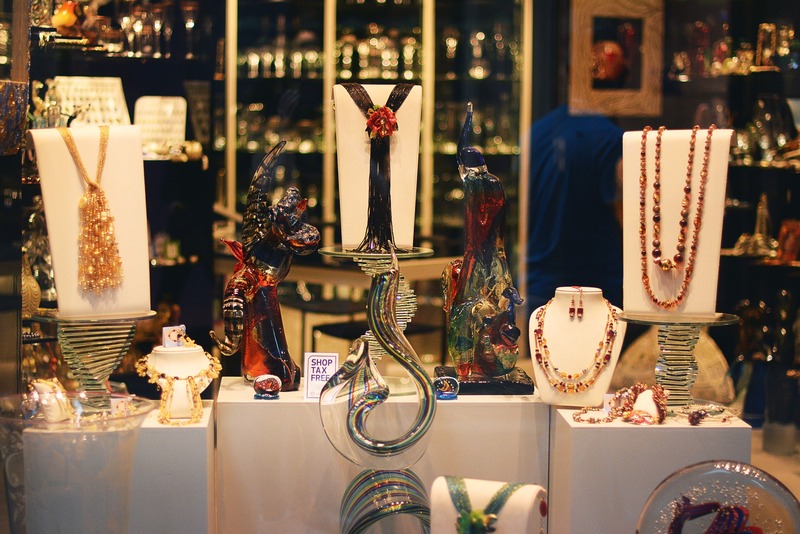 Reputable jewelry shops use these three terms correctly to describe their pieces. And while a 200-years tiara is, technically, estate jewelry, the shop with use the term “antique” to let potential buyers know that is a very old piece. However, less reputable sellers will sometimes use the term “estate jewelry” to trick people because it sounds fancy. For example, they may feature a tiara with a vintage design. The tiara is brand new but, nevertheless, they will use the term “estate tiara” to trick people into thinking they are buying a real vintage piece. There was a time when “estate jewelry” meant fine high-end antique jewelry, but this is not true anymore. Today the term estate refers to pre-owned and maximum 19 years old. If you are in doubt about the piece of jewelry you want to buy, simply ask the seller how old it is. Is it worth buying estate jewelry? That, of course, depends on what you want. If you are a history fan and love vintage and antique pieces, you will not be satisfied with estate jewelry. Know that the piece you are buying is at most 19 years old, which doesn’t exactly spell “history”. If you are simply looking to buy some jewelry for your collection, then why not invest in a new piece? Sometimes, estate jewelry can have hidden defects, like bent prongs or fragile clasps. However, if you want to pay slightly less for a jewelry piece, then it would be a good idea to buy estate jewelry. Just remember to inspect it closely and to ask the seller all the questions you have in mind. Information is crucial when buying estate jewelry pieces. Should I offer estate jewelry as a present? While family heirlooms and even vintage or antique pieces represent thoughtful present ideas, we can’t tell the same about estate jewelry. You are free to buy it for yourself and wear it, but when it comes to offering presents, it is better to buy a new piece (unless you are offering a family heirloom). And speaking of brand new, fantastic jewelry pieces, check out Ana Luisa online jewelry shop. In our collections, you will discover unique designer jewelry that you will fall in love with. Visit Ana Luisa and get to see our limited-edition pieces.